Why I am having trouble keeping MMD faith? What is MMD Faith? How can I tell if I’m doing the right thing? 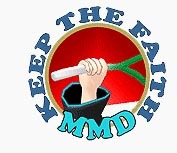 What is “Keep the Faith-MMD”? Keep the Faith-MMD is, in a sense, the most definitive document created by the English speaking MikuMikuDance community in regards to how to function lawfully within the community. It’s all very simple and easy to understand . . . Just follow the rules! However, there are some issues that Keep the Faith-MMD doesn’t touch. It doesn’t tell you how to operate when people around you don’t keep the faith. Because of that, many people may have trouble keeping MMD faith. This is especially problematic for younger users. As a former young person, I can attest to the fact that it’s much easier to copy the people around you than to rise above them morally. It’s often a slippery slope from unknowingly breaking rules to blatantly breaking rules because those around you keep doing it. Why do people have trouble keeping MMD faith? There are a lot of reasons that people may have trouble keeping MMD faith. One of the first reasons is simply ignorance. Of course, I searched their profile to see if they said where their rips came from. It was to no avail. I could have asked them or chided them . . . But I didn’t want to come off as if I were trying to be the Internet police. So I just filed a note in my mind that I would have to avoid their stunning parts because I couldn’t properly credit the original source. While the legality of using rips is a giant grey area, there are ways in which it is black and white. Some users explicitly state that they do not allow their parts to be used alongside game rips. For example, if I used this dress and one of those ripped parts, I would be breaking a rule. While I wouldn’t go to jail for breaking Miss Kitty’s “no rips” rule, I would feel like a bad person for just flagrantly breaking a rule without realizing it. Users spread the rule around to the point that people parroted it until it was just considered a known rule. However, when someone who actually could read Japanese read through all of the documentation . . . we learned that someone who couldn’t read Japanese made up the rule and claimed it was in the official documentation. The fact that misguided users can misinterpret Japanese documentation is the reason that bases are a very, very big area where people will have trouble keeping MMD faith. I feel as though it’s a fair assumption that most people who speak Japanese assimilate into the Japanese community while everyone else congregates in what we know as the MMDC. Because of that, it’s extremely easy for someone to fudge the rules in “ReadMe” files. A small way that the MMDC can break a rule in regards to bases is to not included a detailed list of ways they changed a LAT model when they made their base. This is just like unknowingly using a ripped part alongside a part that is prohibited be used alongside a rip. It’s nothing to feel too awful over. 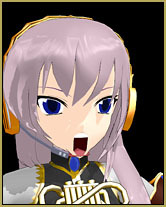 I wanted to read the readme for Montecore’s Luka model that people have made bases from . . . But the model has been taken down. Without asking him, there is no real way of knowing if people editing his models was the reason the Dropbox link returns a 404 error. His MMD Wikia page explicitly states redistribution is prohibited, while someone making a base from his model said that he explicitly allowed it. Considering that old online translators confused “15” and “51” on a regular basis, there’s a chance it was all an issue of miscommunication. However, that does not change the fact that it is no longer possible to legally download that model. Montecore may have taken down the links because of users. If he did, that would be proof that not keeping the faith hurts the MMDC dearly. How can we stop having trouble keeping MMD faith? No one has the perfect answer. If you tell people they are making mistakes, you may make enemies. Some people would be grateful. However, many more people would likely dig their heels deeper. No matter how illegal something is, no one cares if everyone else does it. I plan to not make a fuss. If I see someone break rules, I will stay quiet. I do not like confrontation. However, you may feel differently. It is always a good idea to stay civil. If you want to confront someone, do not be loud or mean. That will only make enemies. Regardless of what other people do, it is up to you to source your parts ethically. Avoid users that break rules. Don’t use bases made from models that don’t allow distribution. Follow the rules and always be on your toes for parts that look just a little too polished. As a note, I was recently shown this article by LearnMMD’s NicoleNakanoMMD. If a user is blatantly lying as opposed to quietly misinterpreting a rip as an original creation . . . run. There are two possibilities behind why they are blatantly lying: either they are extremely young or extremely disturbed. When you are significantly older than someone, there is a good chance that your criticism will come off as bullying. If they are simply disturbed, you might end up with several deviantArt journals written about how awful you are for criticizing them. If you are a fellow young person, then you can have free range in attempting to rectify the situation, however. You can’t blindly trust everyone . . . But always try your best!